Thomas H. Cook's novels, including Instruments of Night and Breakheart Hill, pull readers deep into their webs of obsession, passion, and fear. A best-selling author, Cook won the Edgar Award for The Chatham School Affair (RB# 94796). In 1937, a slender young woman arrived in a small Maine town. Dora March was lovely, quiet, and mysterious. Soon the tragedies began: a house fire, a murder, a suicide. Within a year, Dora vanished, leaving behind dark, unanswered questions. But before she disappeared, the town's newspaperman was stabbed to death. Now Cal, the slain man's brother, must tear off the emotional veil clouding his judgement and find Dora March. The scenes in Places in the Dark are not graphic, but they are the stuff of nightmares. As the suspense in this haunting work increases with each chapter, it urges the listener toward a final, shocking revelation. 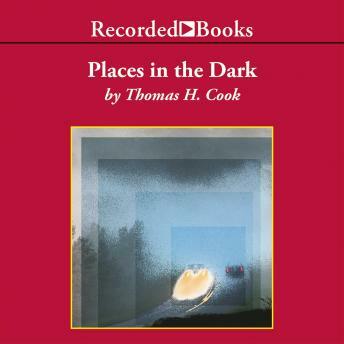 Audie Award-winning narrator George Guidall provides the perfect vehicle for Cook's unique style.